Natural Firework, a photo by Habub3 on Flickr. It's Firework Night tonight but I've not actually been hearing many fireworks outside. I think most people got their fill of fireworks at the weekend. 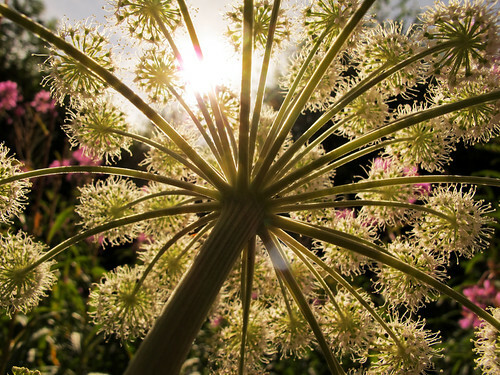 Never mind, here is a fantastic photo of a plant that looks rather like a firework. Nature is such a wonderful thing isn't it? And this photographer has captured this little piece of nature so well. Beautiful shapes and stunning sunlight.